Adriano D. Emperado was born in Honolulu, Hawaii, on June 15, 1926. He was born to Filipino-Hawaiian parents in the poor Palama section of Honolulu. He started his self defense training at the age of 8. At this time in his life both his father and uncle were professional boxers, so of course he was taught how to box. His next training came at the age of 11 while he was living with his older brother in Kauai. There he learned the basic 12 strikes of escrima. At age 14 he found himself back in his old Palama neighborhood. There he trained in judo under Sensei Taneo at the Palama Settlement Gym. A few years later at the age of 20 Emperado undertook the serious study of kenpo at the Catholic Youth Organization in Honolulu. These classes were taught by the legendary Professor William K.S. Chow. Professor Chow had been a student of kenpo jiu jitsu instructor James Mitose, and also held a 5th degree black belt in judo. Emperado trained daily with Chow and soon became his first black belt. Emperado spent years with Professor Chow becoming his Chief Instructor and attaining the rank of 5th degree black belt. During the developmental years of Kajukenbo Emperado would train with the 4 other co-founders during the day and then teach classes for Chow in the evenings. Because he had been exposed to many fighting systems Emperado has always been one to welcome innovation. Unlike most of the traditional systems, his Kajukenbo evolves constantly. To date there are 4 systems within then kajukenbo style. The first of course is the Original Method, sometimes referred to as the kenpo karate branch. This is the system that Emperado, Holck, Choo, Ordonez, and Chang formulated between 1947 and 1949. The original method uses kenpo karate as a base and adds selected techniques from the tang soo do, judo, jujitsu, and sil-lum pai kung fu systems. The second system is the Tum Pai branch. This system was in development from 1959-1966 by Emperado, Al Dacascos, and Al De La Cruz. Development was suspended in 1966 when Dacascos moved to the mainland. Its development was then re-activated in 1984 by Jon Loren. The Tum Pai system incorporates the original kajukenbo techniques along with tai chi chuan elements. The third system is the Chuan Fa branch. This system started development in 1966. Again this was a collaboration of Emperado, Al Dacascos, and Al De La Cruz. This system incorporated the Northern and Southern styles of kung fu with the original method of kajukenbo. Sijo Emperado passed away on April 4, 2009. 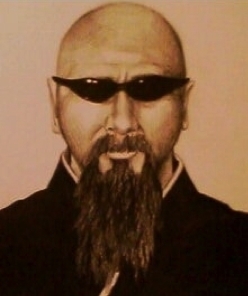 Kajupit is Grand Master Greg Harper, Kajukenbo's "PITBULL". Sijo A.D. Emperado's personal bodyguard for the last 14 years and the highest ranking student under the late GM Larry "Gumo" Gumataotao. GM Gumataotao, was the last student to learn directly from the legendary Sijo Emperado (Kajukenbo's God Father). Gumo was taken all the way from colored belt ranking through to a high level Black Belt during his lifetime. Kajupit (aka) GM Harper received his instruction directly from "Gumo", while under the watchful eye of Sijo Emperado. Greg Harper a ninth degree black belt has over 20 years experience in Kajukenbo and was selected to appear on the Discovery Channel's show "Fight Quest" as one of the Kajukenbo instructors. On the show, Greg had to train one of the shows stars for a week in the art of Kajukenbo and prepare him for a fight at the end of the training. The Dungeon MMA - With over 15 years of training Sifu Art Peraza has opened his doors to enlighten the Spirit, Mind and Body with the teachings of Kajukenbo. This Martial Art is first and foremost a self-defense that uses fluidity and no wasted movement in its training. Kajukenbo is a true Mixed Martial Art, consisting of Karate (Ka), Judo, Jiu-Jitsu (Ju), Kenpo (Ken) and Chinese Boxing (Bo). Sifu Art has modified his Kajukenbo style to gear it towards an MMA suited style of training. Expanding his knowledge of the Martial Arts, training at The Dungeon MMA is always ever-changing to reach the goal of balancing the Spirit, Mind and Body. The Dungeon focuses on a respectful and family-centered setting to enhance the learning environment. To expand the growth of the individual and the group as a whole, the gym is a no frill gym, with no tv’s and no juice bars. What it does have is a lot of hard work! As a 5th Degree Black Belt under Grand Master Greg Harper, Sifu Art Peraza’s goal is to Keep The Flame Alive! in himself and his students and never forget the roots and origins of Kajukenbo.